7th IKO MATSUSHIMA Middle East Kyokushin Karate Championships was held in Esfahan,Iran on 17th,18th August 2018. 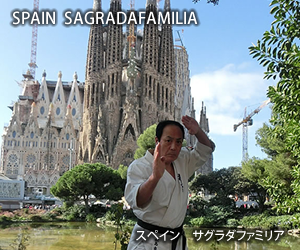 The championships was organized by Shihan Mohsen Ashouri and Shihan Darioush Bagheri. 7th Middle East Matsushima Cup Iran-Esfahan will be held on 15-18 August 2018 in Iran. Would you please contact with Iran Branch? The meeting was held with the presence of about 60 persons of both male and female athletes, champions, referee & judges, coaches and pioneers from different parts of Fars province in Shiraz,Iran on Friday, May 18. The meeting was held with the presence of about 60 persons of both male and female athletes, champions, referee & judges, coaches and pioneers from different parts of Fars province in Shiraz ,Iran on Friday, May 18. 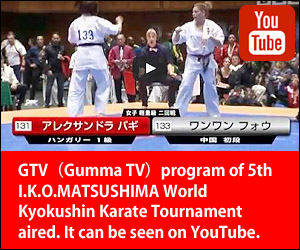 32nd Kyokushin Karate Matsushima Mazandaran (Iran) Championships was held. Mazandaran province Matsushima cup was held in Chalus,Mazandaran ,Iran on 3 October 2014. Mazandaran province Matsushima youth cup was held in Tonekabon,Mazandaran ,Iran on 19 September 2014. In this tournament 84 participants competed in Kumite in 2 age categories 7-9 ,10-12 years old. Iran Mazandaran province Matsushima youth cup was held in Hachirod,Mazandaran ,Iran on 6 December 2013. Iran Mazandaran province Matsushima youth cup was held in Hachirod,Mazandaran ,Iran on 6 December 2013.In this tournament 143 participants competed in Kumite in 3 age categories 7-9 ,10-12 and 13-15 years old. In August 1st Iran National Matsushima Cup was held in Esfahan,Iran. More than 270 fighters from 20 provinces took part regards. Mazandaran province Matsushima youth cup was held in chalus,Mazandaran ,Iran on 15 February 2013. In this tournament 148 participants competed in Kumite in 2 age catagories 13-15 and 16-18 years old. Iran Esfahan Matsushima cup was held on 15th February 2013. Esfahan province Matsushima cup was held in Shahin shahr ,Iran on 15 February 2013. In this tournament 200 participants competed in Kumite in 4 catagories. Iran tournament I.K.O. Matsushima cup was held on 1st February 2013. 400 participants from different regions of Iran competed in Kumite in 5 categories. 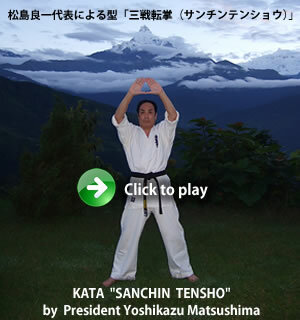 In this tournament Kyokushin Matsushima national team members were chosen for participating in the 8th European Kyokushin Karate Championship in Ukraine on Oct.2013. Children Tournament was held in Iran. Last time I visited Iran on 2005. The airport in Tehran and Esfahan became new building. After events I visited Meydan-e Emam(Emam square) again. If I will look all shops at bazaar,I would need over one day. Iranian people like salty yogurt drinks. The training seminar and Dan grading test was held in Iran. I visited Dojo in Tehran on 22nd Feb. Next morning the training seminar was held in Tehran on 23rd. The 6th Middle East Championships Matsushima Cup was held in Iran. The 6th Middle East Championships Matsushima Cup was held on 25th Feb.2011 in Esfahan,Iran. Afghanistan,Armenia,Azerbaijan ,Iraq,Georgia,Kurdistan,Kuwait,Turkey and UAE took part. There were Kumite and Kata categories. European Region Chairman; Shihan Klaus Rex and Hungary Branch Chief ;Jozsef Borza also participated. Though Iran always won prizes at the World Championships,neighboring countries also showed their ability. President Matsushima gave a memorial trophy to Presiden Hojjat Rezaei of Paytakht Oil Company. In pakistan special camp for attendance at Middle East Championships (Iran) was held. The European web site has been renewed.